Find helpful explanations about common orthopedic and sports medicine conditions and treatments in our patient education library. 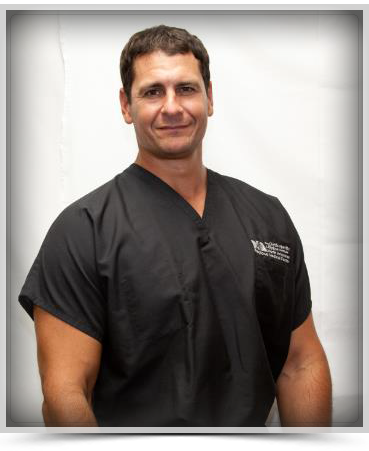 Dr. Tarik Sidani is the only full-time orthopedic surgeon in Harrison, Arkansas and the surrounding communities in Northwest Arkansas and Southern Missouri. Since 2007, Dr. Sidani has performed thousands of successful procedures that have led to our local hospital receiving 5-Star Awards in all three orthopedic categories from Healthgrades.com. From minimally invasive joint replacement surgery to arthroscopic sports medicine procedures, Dr. Sidani and his staff provide a standard of orthopedic care found at the largest medical centers in the country, but with the friendliness and convenience you’ll find at home in Harrison. Hear what patients have to say about Dr. Sidani. No matter what your orthopedic concern, call Arkansas Orthopedics & Sports Medicine at (870) 741-8289 to make an appointment now with orthopedic surgeon Dr. Sidani. For your convenience, you may also request an appointment now using our secure online form. Patients come to us from Harrison, Berryville, Mountain Home, Fayetteville, Clinton, and Conway, Arkansas; Branson, Missouri; and other towns throughout Northwest Arkansas and Southern Missouri. Board-certified orthopedic doctor in Harrison, Green Forest, Berryville, Marshall, Arkansas providing expert care for fracture, sprain, strain, sports injury, arthritis, tendonitis, carpal tunnel syndrome, joint pain, osteoarthritis, and other musculoskeletal conditions causing acute or chronic pain of the back, neck, spine, shoulder, elbow, hand, wrist, hip, knee, foot and ankle. Dr. Sidani specializes in wrist surgery, hand surgery, ACL reconstruction, shoulder joint replacement, hip joint replacement, knee joint replacement, hip resurfacing, arthroscopic surgery, rotator cuff repair and other minimally invasive orthopedic surgery. Arkansas Orthopedics & Sports Medicine also offers onsite physical therapy and nonsugical pain relief treatments including steroid injections, hyaluronic acid treatment at all three offices in Harrison, Green Forest (Berryville), Marshall, Arkansas.